My how the worm turns. Two years ago, American Liberals, long chagrined by Gallic contempt for American presidents, exulted in electing someone who they believed that the French would admire. Nothing makes the New York Times set happier than Parisian approval. 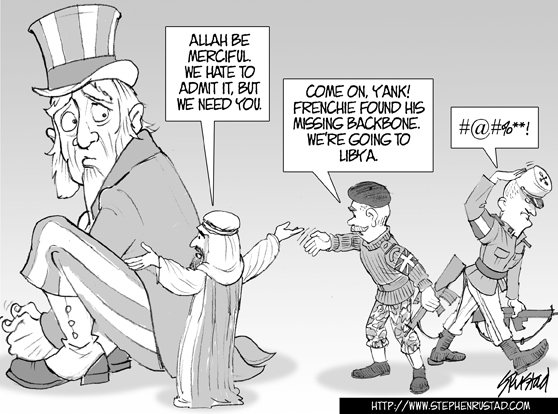 Scroll two years ahead and, Sacre Bleu, the French, who tired of Obama’s fiddling while Gadhafi’s minions slaughter everyone they can, lead Europe and America into exactly the sort of international activism that our President despises. I’m just guessing but I don’t think the French hold Obama in such high regard.